So You Wanna Learn Spanish? Here Are the 8 Books You Need! And I promise you don’t need an advanced degree in the sciences to answer it. What do a bundle of dynamite and your Spanish learning have in common? That’s right: They can both explode. Dynamite can turn mountains into dust. And in the same way, the right approach to Spanish can create a fluent speaker where there was only a learner before. 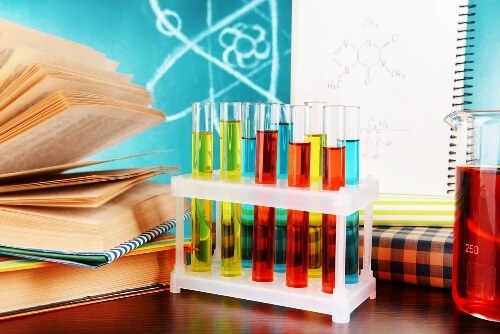 It’s all chemistry: You just need to get the right mix of materials. In this case, the materials we’re talking about are that good old educational standby: books. Read on and watch out. Common table salt is composed of two elements: One is sodium, which is used in street lamps that are known for their distinctive yellow-orange glow, and the second one, chlorine, is used as an insecticide and as an antiseptic to kill unwanted elements in any popular public pool. These two, in isolation, are never good to put inside our mouths. But together, as salt, they elevate food into something worthy of Michelin stars. And speaking of food, any baker will tell you that you need not only to have the proper ingredients to make something edible, you need to have them in their correct ratios. Mess up the proportions and you just made yourself some goo. It seems that everywhere we look, from something as delicious as a chocolate lava cake to something as dangerous as the nitroglycerin in dynamite (C3H5N3O9), there’s an optimum combination of ingredients that causes something incredible to happen. Learning Spanish is really no different. So here, I’ve done the dirty work for you “bookies” and come up with eight books that will work perfectly together. These eight all have tactical roles to play in helping you reach fluency. 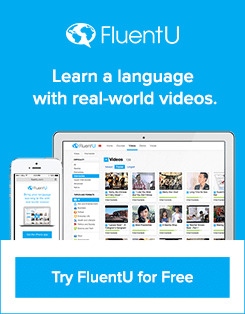 Let me suggest that you add even more firepower to your learning system by watching Spanish videos from FluentU. 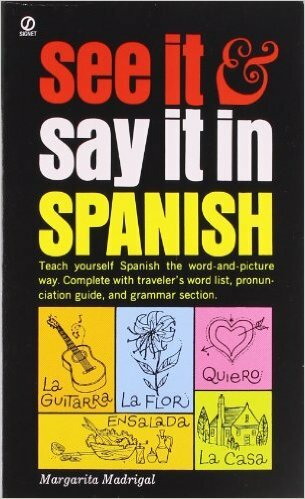 This is an excellent starter book for anyone who’s an absolute beginner in Spanish. Well, you will not endanger your self-esteem with this book. It takes those with no Spanish background whatsoever by the hand and brings them to a gradual and logical understanding of Spanish grammar. And by the way, this book makes no bones about the absolute need to learn grammar. While other titles may avoid the “G” word like the plague, this one embraces it and treats grammar like it’s freakin’ awesome. 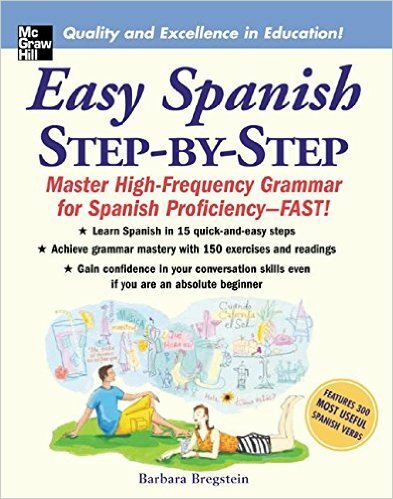 But “Easy Spanish Step-by-step” is a grammar book that doesn’t quack like any grammar book. Yes, many other Spanish books teach grammar—in fact, the other titles in this system also teach it. But this one’s quite unique in its approach. Not only is its pacing spot on and smooth, but readers will feel, between the pages, a kind of psychological handholding that only a person with 30 years of teaching experience can give. “Easy Spanish Step-by-step” doesn’t have to be “comprehensive” or “deep” (we have other titles in the system for that), it just needs to get the ball rolling. Its job is to give you your first pat on the back, so you can gain confidence and realize that Spanish is approachable. It may not look like it on the surface, but this is a mindset book. It prepares you for all the other books in this system. And hey, lest you fear there’ll be too much to memorize in this one, Bregstein has chucked mindless drills in favor of logically building the book’s 15 chapters according to how people naturally acquire language. Chapter 1 starts off with nouns because, when we were kids, the first thing we learned was the names of objects or stuff. This is then followed by adjectives—words that we use to describe objects. Each chapter naturally builds on the previous one. You may not even notice when you’re already approaching intermediate level Spanish—and that’s really the mark of a great Spanish starter book. One book can get you pretty far with a foreign language. Case in point: This “Spanish Language Tutorial” book with 150 informative pages. It’ll give you a complete overview and reference guide to Spanish grammar, help you master verb conjugations and give you a solid base in Spanish vocabulary. All of the lessons are backed up with ample example sentences putting your new language into action before your eyes. And this particular tutorial book can get you started on the right foot with pronunciation and regional dialects. It comes with mp3 audio files and videos recorded by five native Spanish speakers who hail from all over the Spanish-speaking world. They’ll give you an authentic taste of how these Spanish lessons are applied in the real world. 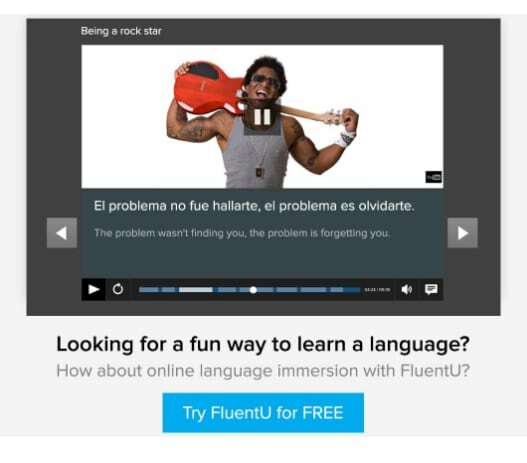 This multimedia presentation dodges a common problem for students who start learning Spanish by reading some kind of book—you won’t have trouble with pronunciation down the road because you’ll be starting right away. Oh, and if ielanguages ever decides to update the e-book and its accompanying audio/video, you’ll be first in line to get free access to the revised versions. Let me just say that this is the real deal here. This course starts from the very beginning, guiding absolute Spanish beginners, and continues through intermediate and advanced topics. 3 course books containing a total of 46 lessons, supplemented by an extensive glossary and a grammar review. 9 audio CDs that contain vocabulary practice dialogues and exercises. Online support that includes games, interactive activities and flashcards. 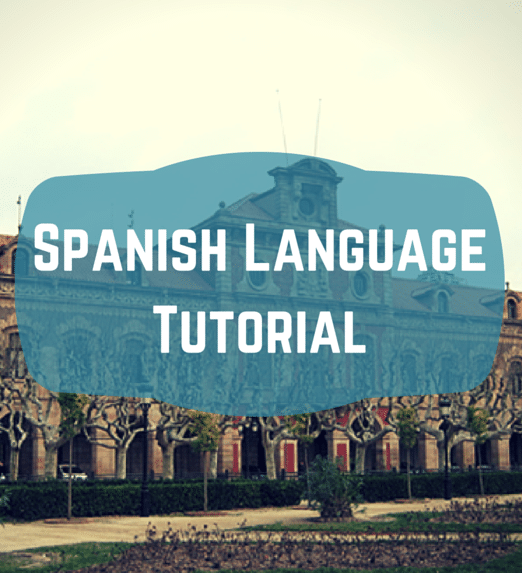 This program will give you the big picture of Spanish—from the basic expressions to the different parts of speech to the nuances that comprise the language. You’ll get to see the whole landscape of the language for what it is, have the chance to get familiar with different linguistic areas and discover where your strengths and weaknesses lie. If you’re gonna be building your Spanish core, it’s good to have this course on your side. 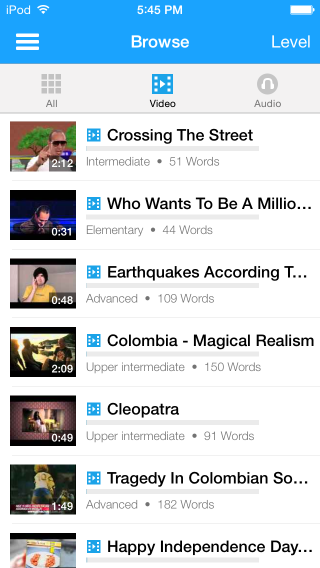 You have the course books, audio recording and online components all reinforcing each other. Compared to other Spanish courses, Living Language gives you the loudest bang for your buck. Oh, did I mention that you get an e-tutor at no extra cost? You can schedule tutoring sessions with a language expert and can get personalized lessons on sticking points. Isn’t that something? But beyond that, Living Language’s online community can furnish you with all the tips, tricks, tools and feedback that you need in order to succeed. Native speakers and fellow language learners are there to make you feel that yours is a journey worth taking. Many people think, “I already invested in that complete course. I don’t need anything else.” That’s a pretty big mistake. Because one course, no matter how complete or comprehensive it is, is still just one course. Just one of the many ways of approaching the subject. This second one serves as a partner, a counterbalance of sorts, to the Living Language course above. With these two, you have the best of both worlds. 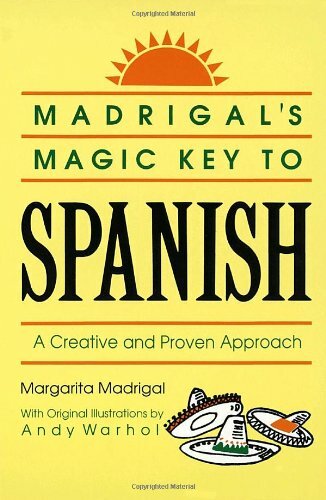 “Madrigal’s Key to Spanish” tries to eliminate mass memorization and boring drills by giving you principles or keys (in essence, shortcuts) that are applicable to large swaths of Spanish. For example, in taking advantage of your English background, if a noun ends in “-tion” in English, you can convert it into Spanish by changing “t” into “c.” Like from “generation” to generación. Or if a word ends in “ous,” like “famous,” “curious” or “delicious,” you can immediately convert it to Spanish by changing “ous” to “oso,” ending up with the Spanish word famoso, curioso or delicioso. 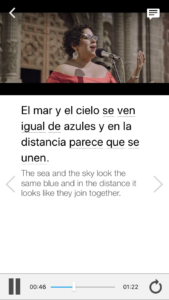 With Madrigal’s keys, you are able to appreciate Spanish in a whole new way. How to change nouns into verbs. How to turn sentences into questions. How to express future action. Each page is chock-full of insights. Make this book a part of your Spanish system and you’ll cut your learning period significantly. And oh, did I not mention that Andy Warhol lent his astonishing talents for the artwork in this book? Just gives you a clue as to the caliber, right? What if you just don’t have the time to get into an in-depth study of Spanish at the moment? Maybe you’re standing in line at the grocery checkout, or you find yourself vacationing in one of those beautiful Spanish-speaking countries. You’re sitting there, in a restaurant, wondering what “water” (agua) in Spanish is. At times like these, this book will come in handy. It gives you the best hits of Spanish—the most common expressions, and vocabulary words and grammar rules that you positively need to know. When you need to brush up on the basics, and don’t need to go through all the background material, grab this book. 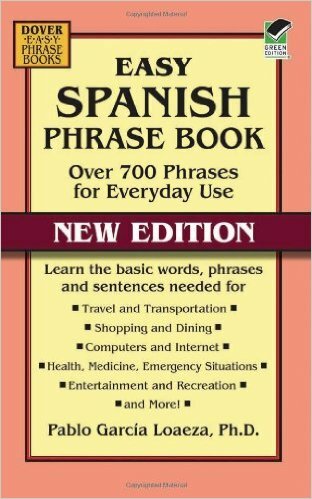 Every page is brimming with lessons and tips that can hone your Spanish pronto. What’s more, this resource is visually engaging—hence the title. You get pictures to accompany nouns, verbs, phrases and expressions, and these function to make the words memorable. Even the text is specifically arranged to be easy on the eyes. The Spanish words that need focus become the stars of the page. Because of this, “See It and Say It in Spanish” is also easy on the mind, and will work particularly well for visual learners. The Australian polyglot Donovan Nagel, of “The Mezzofanti Guild” fame, explains that as kids, we copied adults in “pre-fabricated chunks”—meaning phrases. For example, we copied the words “sit down” as a single phrase, not as two individual words. He thinks that phrasebooks are the best bet when it comes to learning a language. Phrasebooks haven’t been really given the proper credit that they deserve. But they are an integral part of any language learning system. 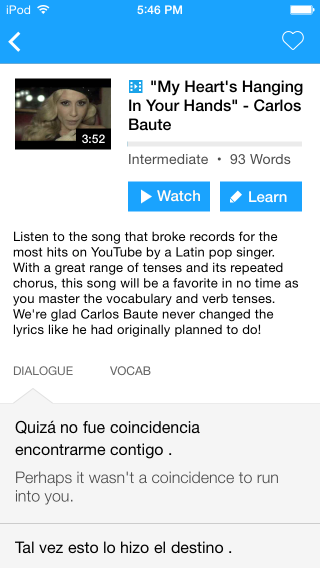 With phrasebooks, you get the most useful expressions in a language. That’s another way of saying that you get all the meat, saving hours on study. When you need something condensed, let this be your go-to resource. 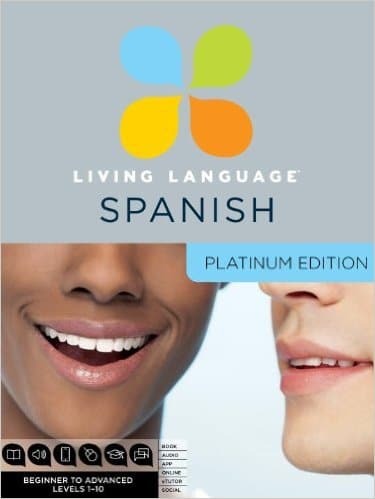 You may not remember every lesson in Spanish, but this book can help get you through coffee with a native speaker. 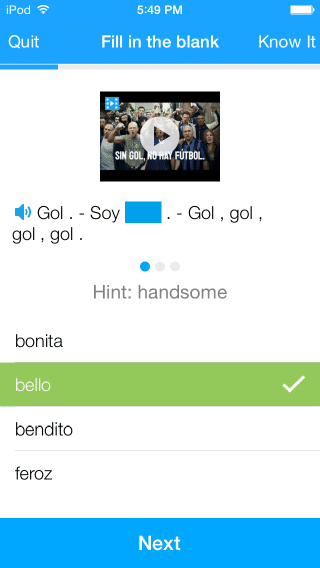 With the “Easy Spanish Phrase Book,” you get 700 of the most important phrases in the language. They cover everything from ordering food, to following directions, to haggling for a souvenir. 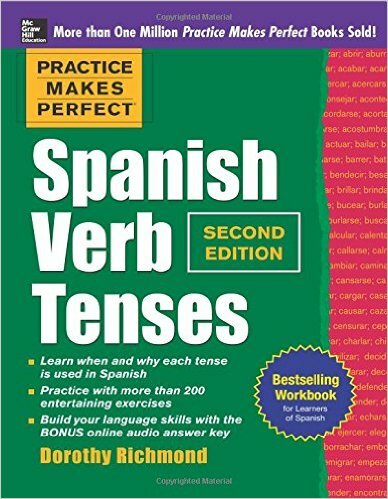 Not only that, the book includes a primer on Spanish grammar so you can get a better understanding of how certain words function alongside others. 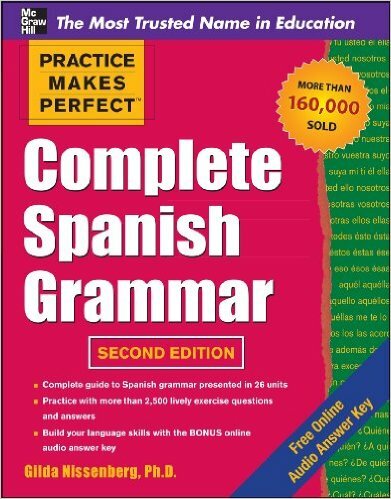 We already have a beginner title in the form of Barbara Breigstein’s “Easy Spanish Step-by-step.” But this one has “comprehensive grammar book” written all over it. And note that as elucidating grammar goes, this book focuses on Spanish as a spoken language, rather than as a written one—so you can be sure that the pages in this title are eminently practical. They put into words how native speakers actually speak. So you don’t get academic lessons about Spanish grammar, but Spanish as it’s actually used daily. In addition, of the 8 books in the set, this will be your “practice” book. This one’s unique because of the sheer number of opportunities it gives the reader to practice. There are 350 workbook exercises to put your Spanish through its paces. Each lesson comes with a thorough evaluation—exercises and activities that allow you to discover where the gaps in your understanding lie. And not only that, there are also support materials online. At audiostudyplayer.com, you get the accompanying audio versions of exercises in the book. Ask anyone who’s been down this road. Any Spanish language learner who’s achieved fluency will point to a special area called “verb conjugation” that proved to be more challenging than the rest. Conjugating Spanish verbs is a bit challenging because of the great number of rules to follow, as well as the great number of irregular verbs that don’t follow those rules. You can get verb conjugation information from many other books. What makes this one different is that it goes beyond just conjugation and explains the nuances of Spanish verb usage. It doesn’t just throw you a table of words to commit to memory. “Spanish Verb Tenses” gives you the “when” and the “why” in using various kinds of verb forms. This book covers stem-changing infinitives, reflexive verbs, the present progressive, past, future, conditional, preterite, imperfect, present perfect, past perfect, imperative, subjunctive, compound tenses, the passive voice—and so much more! If you wanna sound fluent in Spanish—not just grammatically correct, but also nuanced and textured—make this book a daily companion. And that wraps up the eight books that any Spanish learner needs in order to be fluent in the target language. Each of these books has a special role to play in honing different aspects of Spanish and meeting the unique needs of learners at various stages. With them, you’ve got all your bases covered. And not only that, but the whole is greater than the sum of its parts. Allow these eight to work together, and you’ll witness explosive growth in the way you appreciate, comprehend and employ Spanish. You’ll experience what it’s like to learn when all cylinders are firing.